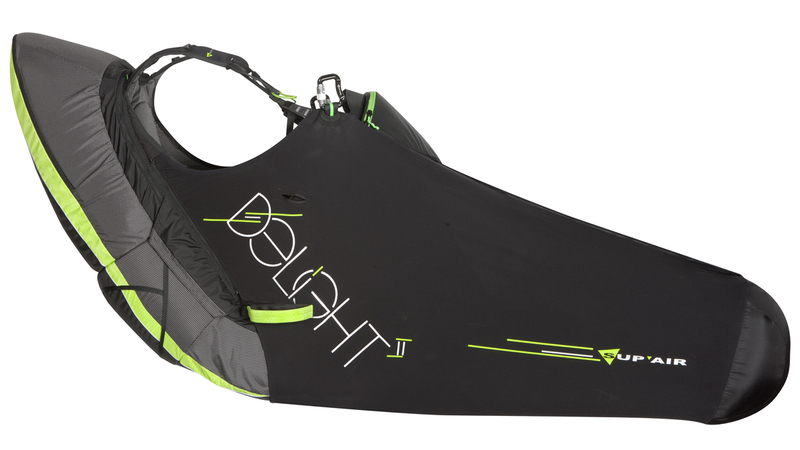 The SupAir Delight harness is hammock-like harness without seat plate but uncompromising in terms comfort and safety. The SupAir Delight will please most pilots in search of a light XC model offering all the amenities typically found on similar but heavier models. The SupAir Delight harness and its backpack have been proven on the field by five of the ten leading pilots during the rough X-ALPS 2011 race! Toma Coconea, Michael Gebert, Thomas de Dorlodot… Available in medium and large sizes for a featherlight 2.3 kg. weight! Your overall hooking weight will greatly be reduced for a new type of flying experience. Pilots armed with the SupAir Delight harness will not again have to compromise nor choose between performance, comfort, weight and safety during short distance hiking, long treks or cross-country flights. • Sky-Diving type cable extraction handle.